Sono stata abilitata alla professione di Psicologo nel Dicembre 2014 con iscrizione all’Albo A della regione Veneto num. 9432. “Characterizing impulsivity and resting-state functional connectivity in normal-weight binge eaters: a functional MRI study”. Oliva R, Morys Fb, Horstmann A, Castiello U, Begliomini C. (under revision – NeuroImage). 2018: Cognitive Science Arena. Bressanone, Italia “Neural correlates of impulsive eating behavior”. 2017: Cognitive Science Arena. Bressanone, Italia “Metacognition in individuals with a lifetime history of anorexia nervosa: a voxel based morphometry study”. Oliva R., Baiano M., Salvo P., Cereser L., Castiello U., Stramare R., Miotto D., Begliomini C.
2015: AIP Associazione Italiana Psicologia – XXII Congresso Nazionale. Roma, Italia “Metacognition in individuals with a lifetime history of anorexia nervosa: a voxel based morphometry study”. Oliva R., Baiano M., Salvo P., Cereser L., Castiello U., Stramare R., Miotto D., Begliomini C.
2014: ECNP Congress of Applied and Translational Neuroscience. Berlin, Germany “Metacognition in individuals with a lifetime history of anorexia nervosa: a voxel based morphometry study”. Oliva R., Baiano M., Salvo P., Cereser L., Castiello U., Stramare R., Miotto D., Begliomini C.
2014: VII SIO (Italian Society of Obesity) National Congress. Università di Milano, Italia “YALE FOOD ADDICTION SCALE (YF&AS.A.IT): a measure to assess Food Addiction on a clinical sample of adults with Eating Disorders and Obesity”. Tarrini G., Oliva R., Oliva L., Zanetti C., Melchionda N.
2014: 26° National Conference ANDID (National Association of Dietitians). 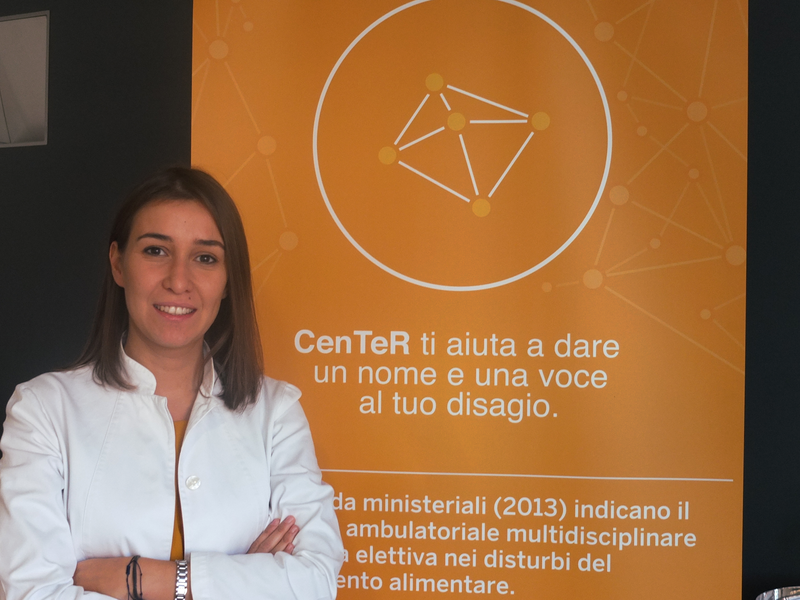 Padova, Italia “YALE FOOD ADDICTION SCALE (YF&AS.A.IT): a measure to assess Food Addiction on a clinical sample of adults with Eating Disorders and Obesity”. Tarrini G., Oliva R., Oliva L., Zanetti C., Melchionda N.
2013: Symposium on Perception and Cognition. Università di Trieste, Italia “Metacognition and Brain Morphometry in Recovered Anorexia Nervosa individuals: Preliminary Results from a VoxelBased Morphometry Study”. Oliva R., Baiano M., Salvo P., Cereser L., Castiello U., Stramare R., Miotto D., Begliomini C.